Radio Moments is India's first fully operational commercial Live '24x7' Mall Radio. The radio shall engage Moments Malls' visitors beyond traditional communication mediums and bring the success of modern Fm radio together with subliminal marketing to create an extremely effective promotions opportunity for advertisers. 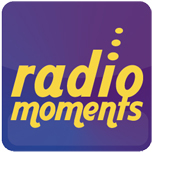 Radio Moments has been setup to create an interactive community within the mall and include the participation of visitors, stores and advertisers. © 2013. Moments. All rights reserved. Site Designed by: Interactive Media.